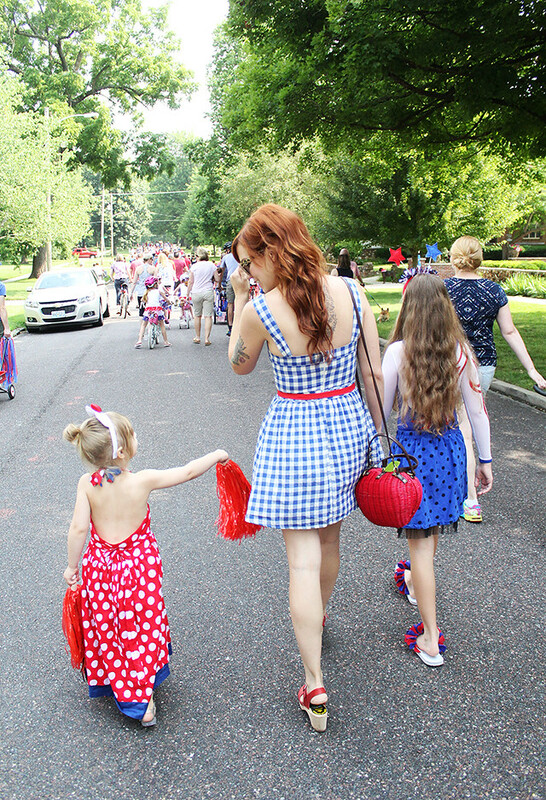 We spent our 4th of July this year parading around (har, har) as per usual. 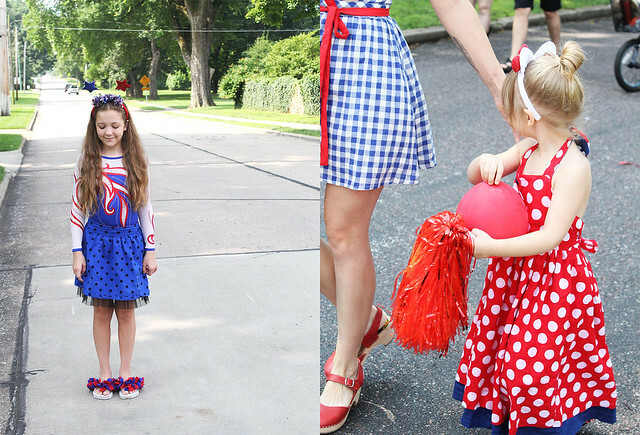 The girls love getting dressed up for our neighborhood parade, and this year the weather was absolutely lovely! Poesy had to pause to check out every bike, dog, and friendly neighbor around us, so by the end it was just the two of us. Once we scarfed the traditional treat or two at the end of the parade, we went back home to pack up our things and head to lake of the ozarks. 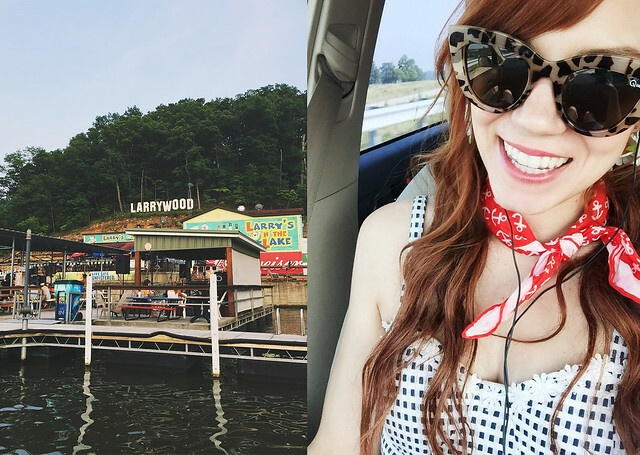 The girls spent the evening shooting fireworks and having a bbq with the grandparents, and Johnny and I spent the night playing a show on the water. All-in-all, if you have to work on 4th of July, this was a pretty fun way to do just that. 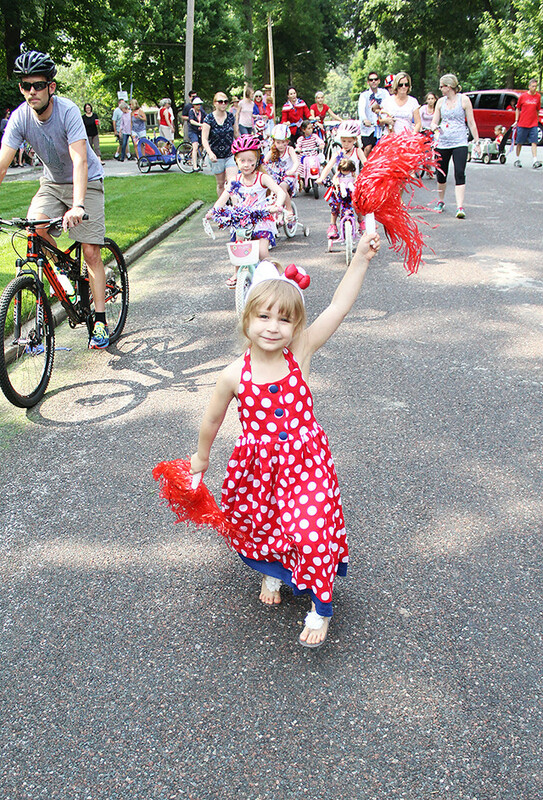 Did you do anything fun for the holiday weekend? If you've blogged about it, leave me a link in the comments! I'd love to see! xo. How fun :) I'm kind of fascinated by parades so how nice to be in one! Love the picture where P looks a bit like Lady Liberty. my 4th of july weekend was touching up a giant jenga set (thx abm!) and celebrating birthdays! What a fabulous day for you guys :) love how patriotic you are as Americans. Here in Australia, we have Australia Day which is January 26th. We have a parade now in our town and lovely markets too. 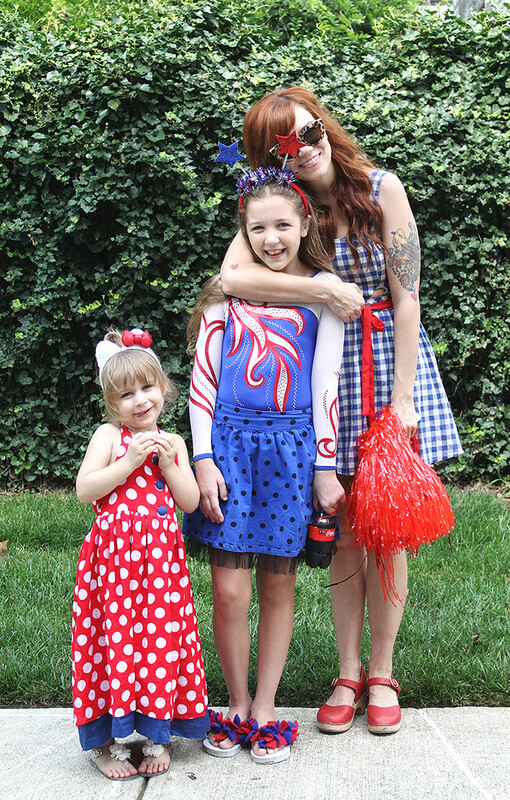 Our day is becoming more patriotic over time which I do love. A real feeling of connectedness and pride as a nation. 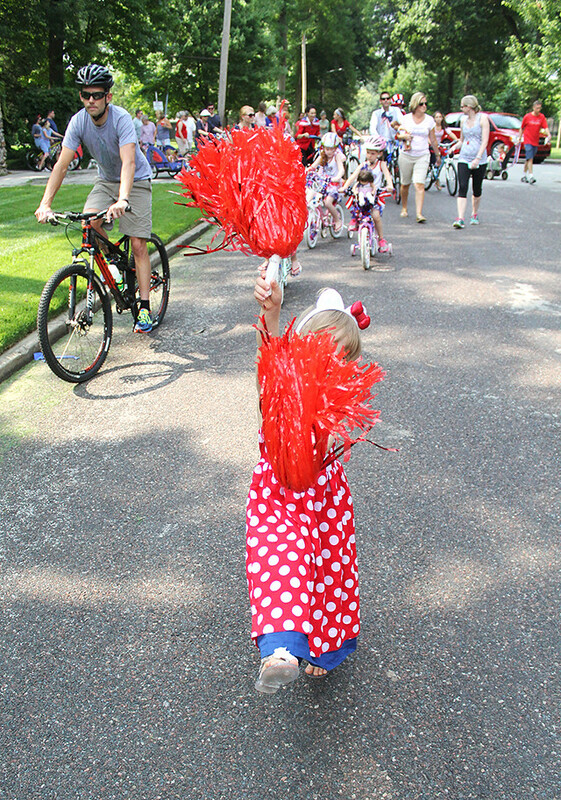 Parades are the best! 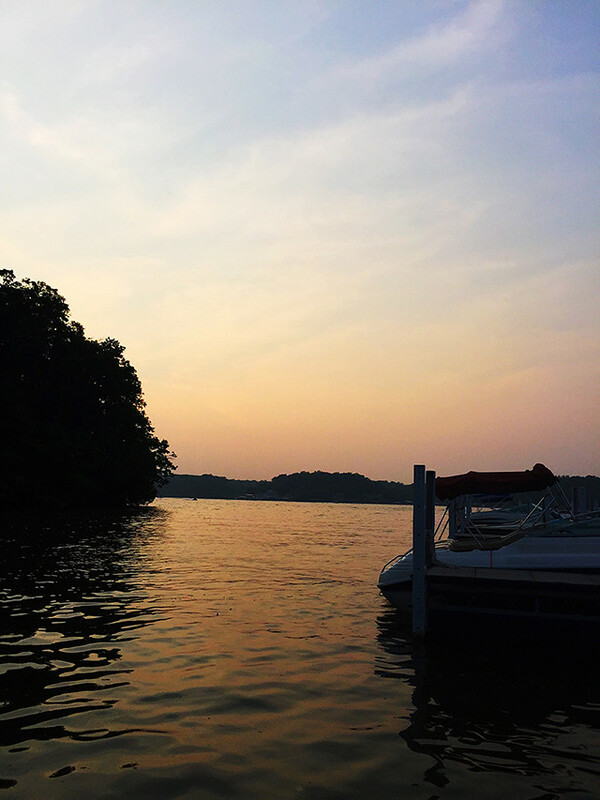 We had a little lake adventure too. And after seeing the light painting tips on ABM we had to try them out! Love your colorful blog, Katie. 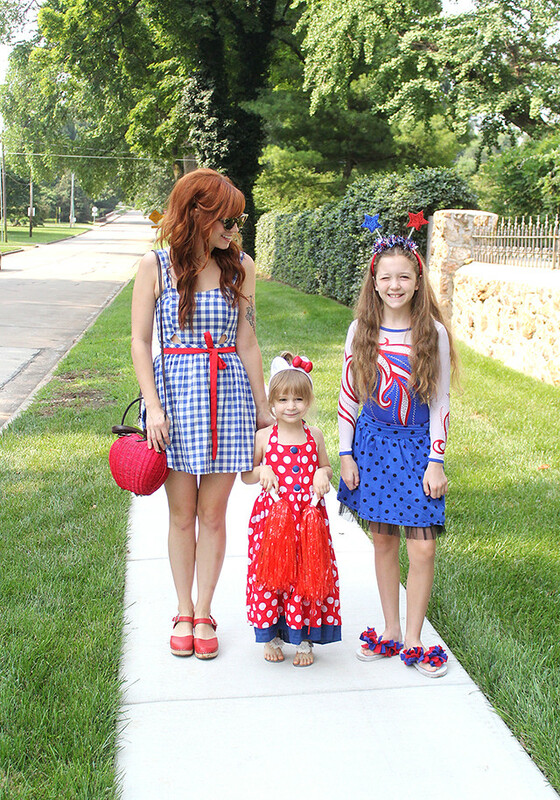 Love all the red white and blue in your pretty photos! 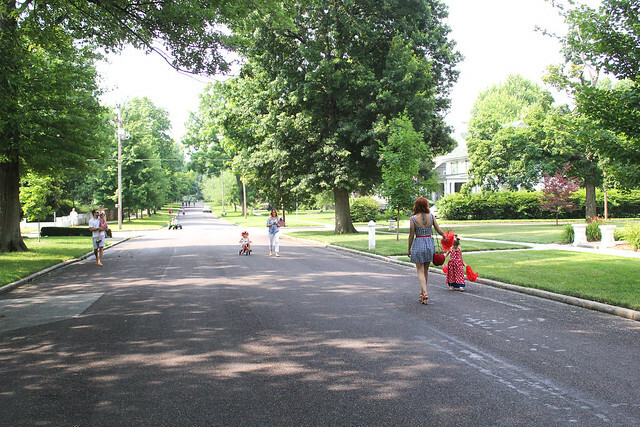 A neighborhood parade sounds so fun! What a cute family y'all are!